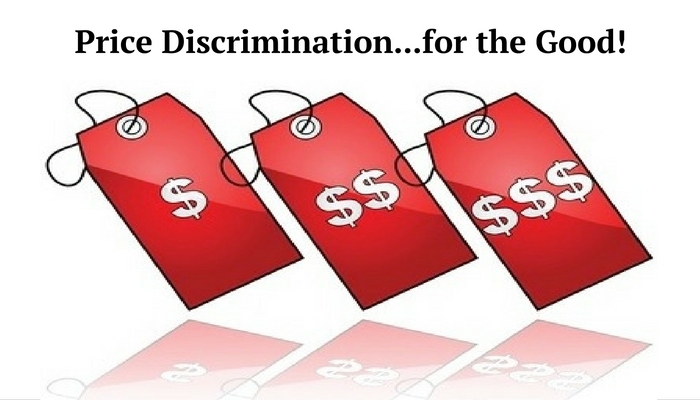 The FairPay Zone: Price Discrimination for the Good! The big price difference represents an unusual experiment to address the persistent issue of limited food choices in poorer neighborhoods around the country. The higher prices at the downtown store are effectively meant to offset smaller profits at the other location, making the lower-priced restaurant more economically viable. 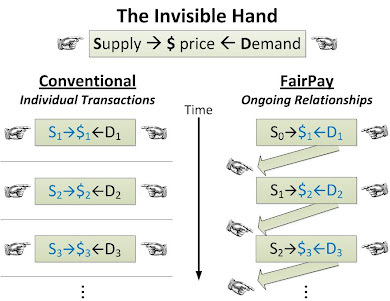 FairPay applies similar logic -- in a more dynamically adaptive, emergent process -- to set prices based on an individual "invisible handshake" that applies a balance of powers to learn what value customers receive, and factor in their ability to pay to determine the fair share they should contribute the the profits that sustain a business. This was explained in my earlier post Price Discrimination Can Be Good!, which was triggered by the equally interesting, if less noble, example of Uber surge pricing. 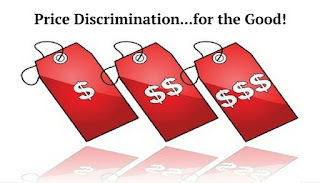 When price discrimination is done unilaterally by sellers, to extract maximum profit with no buy-in from customers it can be bad -- especially if done secretly in a way that is exploitative. When it is done with transparency and customer buy-in, based equitably on differentials in ability to pay and value received, it can be laudable, and customers can feel good about it. This relates to the broader issue of the growing call for a more socially conscious capitalism, a "fairness economy." We want the efficiency of free markets, but with an awareness of social values and bottom lines that factor in people and planet. Many are seeking ways to to achieve that. 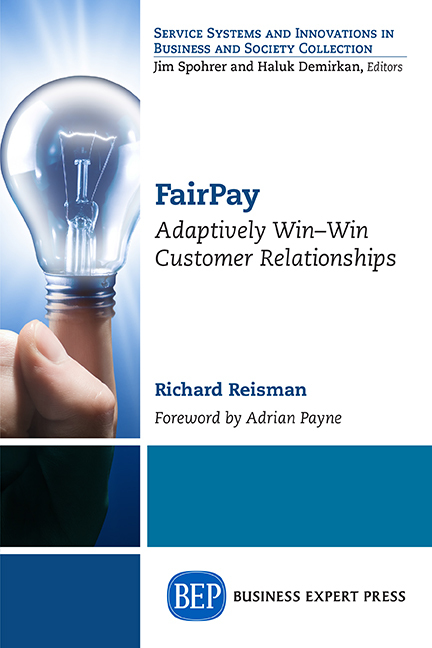 FairPay points to a new and more powerful solution. 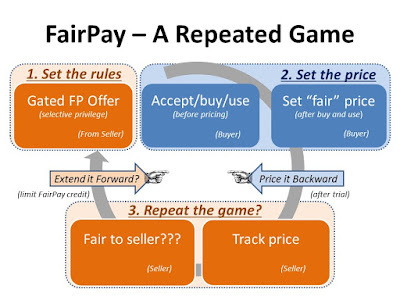 FairPay's invisible handshake is not just a feel-good image, but an operational process based on a specific balance of powers that shapes the "story" -- a process of dialog that gives pricing power to customers, but only as long as they use it in a way the seller agrees is fair. FairPay can be applied in a wide range of contexts, from those that today lack much social context (like TV), through those that have stronger social context (like journalism and indie music), to those with dominating social context (like non-profits and charities). Engaging customers, telling the story, and building long-term relationships based on this invisible handshake promises to increase Lifetime Customer Value, to offer more profit, greater market share -- and more total value to society.